An academic resource for students to help identify their unique learning styles/needs. The Learning Strategies Center offers a wide range of services that support students in maximizing their educational experiences, depending on their particular needs. Its overarching purpose is to empower students for a lifetime by helping them truly understand how they learn. For students with diagnosed learning differences, the additional goal is to teach them how to play to their strengths, shore up, work around their weaknesses, and effectively advocate for themselves in different learning settings. Students who access accommodations at LWHS participate in a multi-year, scaffolded, student-centered process designed to help them internalize a deep understanding of their own learning style, increase awareness of their own internal resources, set appropriate forward-looking goals, and develop the confidence and skills in self-advocacy that they will need to flourish in college and beyond. As 9th graders, students meet with the LSC Director as early as possible to compose their Instructional Adaptations (IA) document. Once this is complete, a meeting is held with their parent/guardians and all of their teachers, at which the LSC Director explains the student’s strengths and cognitive weaknesses, and how they can be best supported in the classroom. In the beginning of 10th grade, the student meets with the LSC Director to create an outline of this same information, which the student will, after rehearsing extensively with the LSC Staff, present to their teachers in their Sophomore IA meeting. The preparation for this meeting includes a process of goal-setting and metacognitive reflection which enables students to be strategic about identifying tools to help increase academic efficiency. 11th graders meet again with the LSC Director to compose their Personal Learning Profile (PLP), which outlines their personal and cognitive strengths and their cognitive weaknesses and describes the accommodations they will be using in their classrooms and on tests. During this process, they set new goals for the coming year, and reflect on their progress toward graduation and college. At this point, having heard, then spoken, then written the information contained in their Instructional Adaptations, students have developed a deep understanding of their own cognitive styles. Seniors update their PLPs with the LSC staff, set new goals, and come away with a document which can inform both the college application process and the accommodations they access in the colleges that they eventually attend. 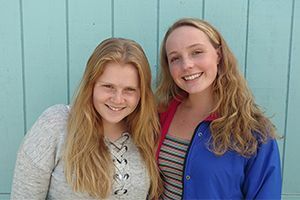 Throughout their years in high school, neurodiverse students work with the LSC staff on a highly individualized basis to problem-solve, develop new strategies, and access accommodations and support. The LWHS Peer Tutoring Program is coordinated through the LSC. Any student who needs extra support in a particular subject can be paired with another student in the same discipline. Please email the Peer Tutoring Coordinators at peertutoring@lwhs.org if you have any questions. Sign up to be a tutor/tutee. Centrally located in the main building, the LSC can be found in the lavender rooms near the Math office hallway. A resource guide for parents and educators to help 'neuro-diverse' 8th grade students with the transition to high school.